What is your favori pretty cure team? le choix des fans: All of them! Fav Smile Precure Girl ? Where does Pretty Cure stand on your haut, retour au début animé list? Pretty Cure what toi want to be her friend? What animé Do toi Like? Will toi rejoindre my Cure Melody club? Which Precure toi wanna join?Plus what's your cure name! Mizumi : OMG!!! Whats That!? Mizumi : What Are You..? Lunar : OH NO! Its An Monsuta! Big Light Appears At Mizumi. Mizumi : What... Is... Happening?!.. Cure Sunny: *Dodges again* You're a cure, aren't you? This is for anyone who'd imagine their own Pretty Cure character, why not make it come to life here? What most people don't know about me is that i am a Pretty Cure fan. I mean, they're all so CUTE and there's absolutley nothing to hate about them. I like both Nagisa/Natalie and Honoka/Hannah. I also think Hikari is cute. I like both Saki and Mai, but I like Mai a little bit better. The new objective is to bring Kyle crystals of Dark Pretty Cure in temples to unleash a flood of Dark Eco and unleash his powers against Pretty Cure. Kyle: "Here we go!" and to get started: He took his L85A2 and shoot Pretty Cure to try a little advantage. But it was useless, because Komachi used the Mint Protection. Meanwhile, there's Love, Miki and Inori, trying to hit Kyle, but all three hits with the shotgun and said, "And so toi would be the Pretty Cure who saved the people of your mascot? But toi can not even knows how to defend themselves! " Nozomi: "This ... I say ... YOU!!!" It takes Kyle knocking him to the mur and trying to coup de poing him, but Kyle dodges it par a powerful coup de poing on the nose of Nozomi making it bleed. 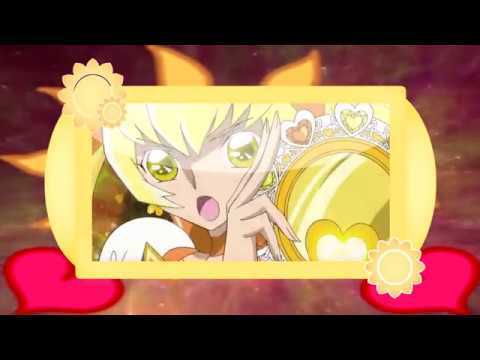 What is the evil thing in Fresh Pretty Cure?